Heat oven to 425°F. Grease cookie sheet with shortening or spray with cooking spray. In 10-inch skillet, cook bacon and onion over medium heat 6 to 8 minutes, stirring occasionally, until bacon is crisp and onion is beginning to brown; drain. In large bowl, mix flour, salt, baking powder and sugar. Stir in bacon and onion. Stir in whipping cream until soft dough forms. On cookie sheet, drop dough by heaping tablespoonfuls about 3 inches apart. Brush tops with milk. Bake 11 to 13 minutes or until golden brown. Serve warm or cooled. 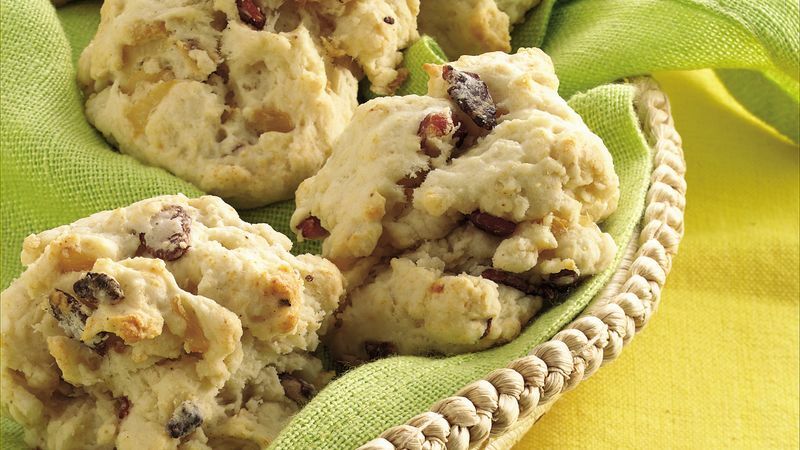 Turn these savory biscuits into a memorable breakfast by filling with hot scrambled eggs.